Manchester City have announced that the current Bayern Munich manager Pep Guardiola will join the club on July 1, replacing the incumbent Manuel Pellegrini. Guardiola will join City on a three-year contract, with the Manchester club confirming that the Spaniard had signed the deal. In December, after several months of speculation, Bayern Munich confirmed that Guardiola would be leaving the club at the end of his three-year contract in the summer of 2016, with Carlo Ancelotti signed on to replace him. 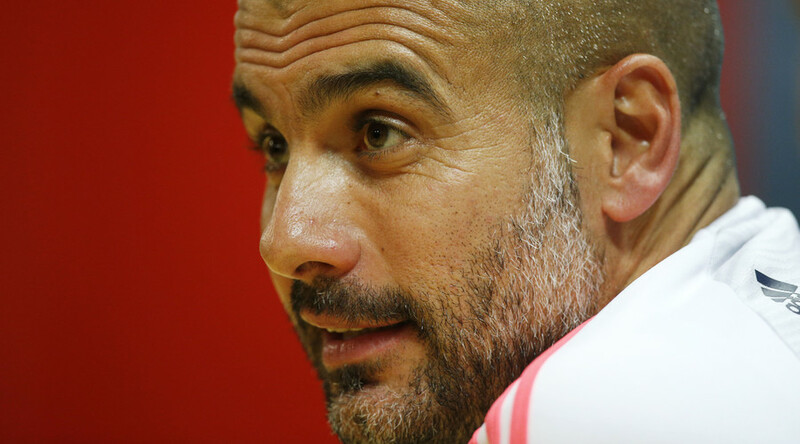 Later in the same month, Guardiola confirmed his departure and expressed his desire to manage in England next season. Manchester City have been interested in signing Guardiola for several years, and the club have former Barcelona personnel on their books in chief executive Ferran Soriano and director of football Txiki Begiristain – both of whom Guardiola worked with during his years at Barca. Current City manager Manuel Pellegrini had signed a two-year contract extension in August 2015, but the club was always expected to move for Guardiola, with the Chilean to make way regardless of the contract situation. “Manchester City can confirm that in recent weeks it has commenced and finalised contractual negotiations with Pep Guardiola to become MCFC Head Coach for the 2016/17 EPL season onwards. “I signed for one year more but with the clause that the club or me can choose not to use that now. So I finish here 30 June, so there is not the speculation. City will now presumably look to finalize summer transfers deals for players already earmarked by Guardiola.